Today’s customers, keen to receive the same levels of choice, convenience and transparency that they enjoy across other industries, want to choose how, where and with what frequency they manage risk. What’s more, agile new digital entrants are lining up to serve them—challenging the orthodoxies of traditional distribution channels. This dramatic shift in customer expectations could put as much as 25 percent of incumbents’ economic profit at risk, unless they too invest in new, digitized distribution models that drive customer engagement. Anytime, anywhere. Customers increasingly desire new ways of purchasing risk protection, and their fluid expectations are driving new sales opportunities. Virtual Insurance Advisor. 74% of customers are willing to receive computer-generated advice about which type of insurance coverage to purchase. Everyday Risk Coach. 56% of customers value personalized advice. Plug and Play Insurer. 40% of customers would consider buying insurance from a car dealer, and 30% might choose a retailer. Ecosystem Orchestrator. 76% of customers would like insurers to help them live safely for longer in their own homes. P2P Network Operator. 55% of customers would consider peer-to-peer coverage for life insurance. Multiple models, simultaneously. High performers will likely pursue multiple models at the same time, while digitally enhancing their core distribution capabilities. Unorthodox: Challenging existing industry conventions to generate entirely new business models. Epicenter-driven. Generating ideas by examining the strengths and weaknesses of the existing business model. Customer-centric. Asking if new ideas would solve customers’ problems. Scenario-based. Asking if new ideas respond to disruptive industry trends. Mirrored. Mimicking “new” models from other industries. Industry economics. Assessing how industry forces are changing the creation and distribution of value in the industry. In making their choices, insurers need to balance old priorities with new ones: a multi-speed approach. 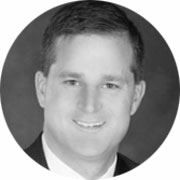 Steven Gunderson is an experienced Strategy Consultant with more than 14 years of experience partnering with clients on business strategy and transformation initiatives. In his current role, he advises senior executives on strategy development, conceptual and detailed planning, and execution. Claudia Lindsey is an experienced Insurance Strategy consultant, advising clients on formulating and executing business growth and improvement strategies. Before joining Accenture, she held senior industry positions in strategy, distribution, marketing, product and business development for insurers and in operational and financial leadership for a brokerage. Ravi helps organizations grow, improve performance and reduce costs through strategy development, operating model and organization design, and transformation planning. While he specializes in assisting clients in the Insurance industry, his experience spans multiple sectors. Ravi is based in Sydney. Erik is a managing director in Accenture’s Distribution & Marketing practice, helping clients reinvent their distribution models through transformational change programs. In his current role, Erik leads Accenture's Insurance Distribution & Marketing business service globally. His specialties include insurance distribution, customer and channel strategy, sales and service, agent effectiveness, marketing, and customer relationship management. He is based in Cincinnati.